I would like to speak on behalf of the entire faculty and students of Alban's Girls' High School when I offer you our condolences for the loss of Br. Paschal. Br. 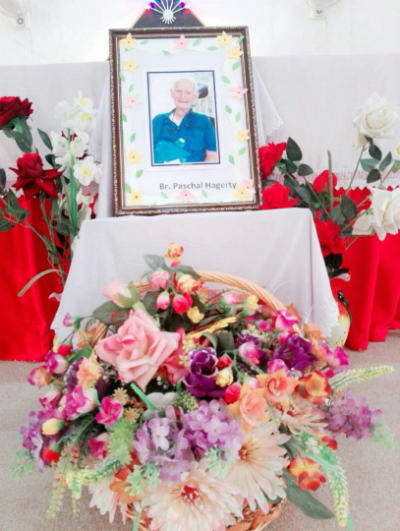 Paschal was a great friend and benefactor of our school, rather he was an angel who thought for the upgrading of our school's learning environment and with his kind donation was able to establish a Science laboratory and clean drinking water for the girls' section. He will always be remembered by the students and the teachers of Alban's High School and his friendship will be sorely missed. Bro. Pascal won the hearts of many students and parents within a short time. He was an upstanding role model and great human being who cared for the students by showing his love through his generous being. As a mark of respect, the students and teachers of Alban's honoured Br. Paschal's love and kindness with a memorial Mass in La Salle Parish Church. 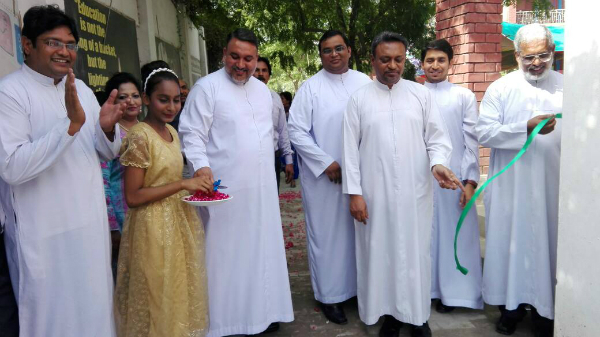 On May 13, 2017 on the Celebration Of LA SALLE DAY our school also held the inauguration ceremony of our Science Lab and clean drinking water place and we remembered Br. Paschal in our prayers. 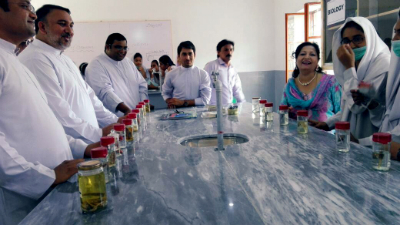 Here are some photos taken during Memorial Mass and inauguration of Science Lab and clean drinking water place.